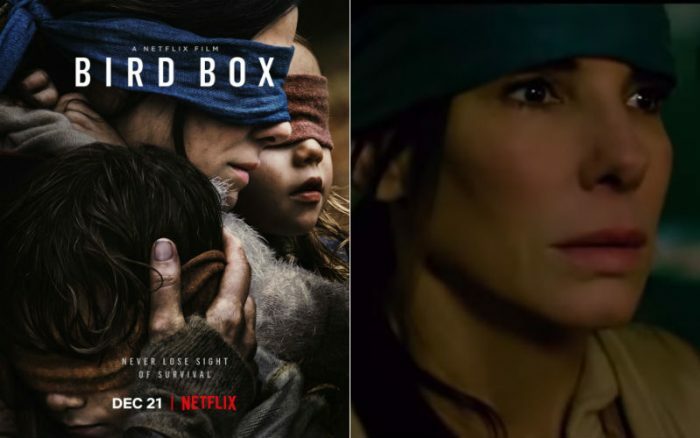 The film Bird Box, based on a British novel of the same name, started streaming on Netflix around Christmas time. Starring Sandra Bullock and John Malkovich, it is a taut thriller that manages, perhaps despite itself, to shed considerable light on the parlous spiritual condition of contemporary culture. Bullock’s character, Malorie, is a gifted painter whose work reflects her dismal view of life and her incapacity to maintain real connections to other people. As the film commences, Malorie is pregnant, though she is not living with the child’s father, and it appears she intends to put the baby up for adoption. As she leaves the hospital after a routine check-up, all hell breaks loose. Strange spiritual forces have invaded the town, and those who gaze upon them are compelled, ferociously and immediately, to commit suicide. As Malorie looks around in horror, her neighbors are stepping in front of speeding buses, walking into fires, and are shooting and stabbing themselves to death. She is rescued by a small group who huddle inside a home (it appears that the specters can only operate in the outdoors), and the rest of the movie unfolds as a tale of their desperate struggle to survive. In the course of the weeks and months that follow, every denizen of the house is eventually exposed to the wraiths and commits suicide, except for Malorie, her son, and the daughter of one of the victims. Having heard over a crackling radio word of a haven downriver from the home, our heroine and the children set out, blindfolded, by boat. After a terrible journey, during which they are threatened by enemies both physical and spiritual, they find the refuge, which turns out to be, understandably enough, a school for the blind. In that place, marked by both human warmth and the beauty of nature, Malorie seems to find the sense of connection—especially to the children—that she was lacking as the film commenced. I completely understand the filmmaker’s comment that Bird Box is finally about the main character discovering what it means to be a mother. But what I found particularly interesting about this film is what is missing from it—namely, any reference to God. I’ve remarked often how in standard disaster movies depicting alien invasions or natural calamities, people hardly ever invoke God. They band together, show courage, find inner reserves of strength, etc., but hardly ever do they ask for help from a supernatural source. However, this absence of the divine reference was especially jarring in a movie whose villains are precisely malign spiritual forces—demons, if you will. There is a tragic/comic moment toward the beginning of Bird Box, just after the little community has gathered for protection. Trying to understand what is happening, casting about for explanations, they propose this theory and that. I found that scene sadly emblematic of our cultural situation. 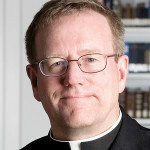 At least in the West, so much of classical religion has broken down or has quietly surrendered to the spirit of the age, devolving into one more form of political correctness. And therefore, in the face of real spiritual danger, vanishingly few have the metaphysical framework to understand what’s happening, or the moral will to fight the enemy appropriately. As the film comes to its at least relatively happy ending, the survivors have one another and they have the beauty of nature, but the spiritual threat remains very much alive—precisely because no one knows what to do about it. Bird Box, as I mentioned, commenced streaming right just before Christmas—in other words, at the very time when the most popular Christmas movie of all time was playing incessantly. As I watched It’s a Wonderful Life for probably the forty-eighth time (I know: nerd alert), I was especially struck by the scene of George Bailey on the snowy bridge. Having come face to face with his worst fears—loss of his livelihood, reputation, fortune, and family—George prayed, and though it took him some time to understand fully what was happening, God sent an angel to help him. His properly spiritual crisis, which led him indeed to the brink of suicide, was resolved through the use of spiritual means. The characters in Bird Box speculate that the evil spirits manifest themselves as the sum total of a person’s greatest fears—which explains the devastating effect that they have on those who see them. If God has effectively disappeared, then our fears will indeed overwhelm us; or at best we’ll be able to keep them at bay. To appreciate the difference between George Bailey’s and Malorie’s response to the power of darkness is to appreciate a certain downward trajectory in our culture.